The “All about the Delta” page has several resources to help you better understand the Delta’s history, location, important facilities, controversial issues and how this all relates to you! These online resources are designed to provide you with easy-to-access and easy-to-understand information. More information about the Delta is available in the Water Education Foundation’s Layperson’s Guide to the Delta, issues of Western Water magazine and poster maps of the Delta. Visit the products link at www.watereducation.org. 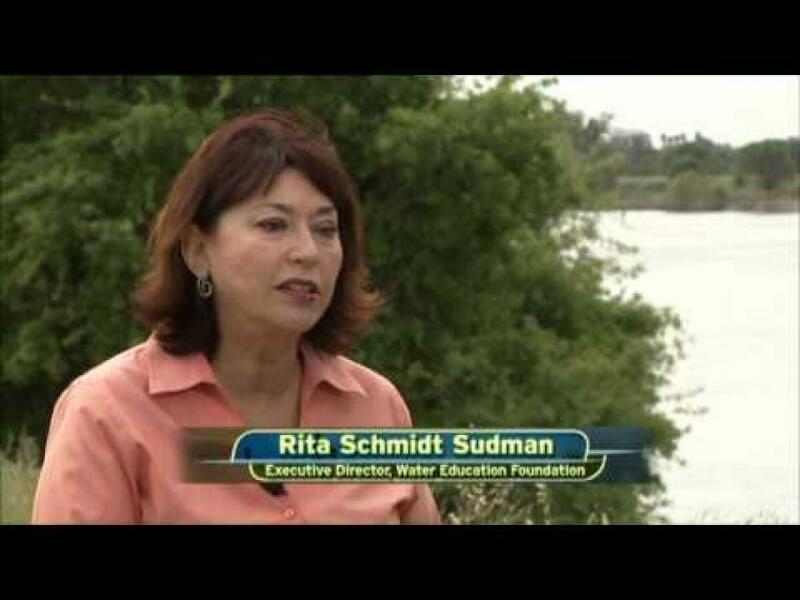 Get a quick overview of the Delta’s history and issues from Rita Schmidt Sudman, Water Education Foundation’s Executive Director, in this video done with Sacramento Public Television KVIE: Debating the Delta. The California Delta is located east of the San Francisco Bay Area at the confluence of the Sacramento and San Joaquin rivers. Check out the interactive Google Map to learn more about the islands and water facilities in the Delta. We plan to continue to add new sites, photos and links to the map. Let us know if there is anything we should include. Why does the Delta matter to every Californian? Anyone in California who remotely follows water news or current events has no doubt heard about the Delta, and the multitude of problems and issues facing this vital region. These issues, if left unresolved, can have huge ramifications for the entire state, but it can be hard to understand just how this relatively small area in Northern California could be of such concern to those of us living in Southern California, or elsewhere in the state. Many Californians, including some who live in the region, don’t even know where or what the Delta is, or why they should really care. What could the Delta possibly have to do with me? Well, a lot, actually. Everyone in California depends upon the Delta for something, be it drinking water, fresh produce or livestock, goods shipped over the highways and railways that transverse it, or gas and electricity that is carried in pipes and transmission lines. Wildlife also depends on the Delta, as it provides a crucial habitat for wildlife, and an important stop for migratory birds. What are the Plans for the Delta? The Delta Stewardship Council was created by the 2009 Delta Reform Act with the task of creating and implementing a plan to achieve the coequal goals: improving water supply reliability and protecting and restoring the health of the Delta estuary. This chart provides basic information on some of the main plans for the Delta and how they relate to the Delta Plan. Direct any feedback to info@aquafornia.com. Search for the latest Delta news.